World Cup - The world’s biggest soccer event! If you are experiencing problems verifying your account via sms, please contact our support team on live chat or email and we will help you. To facilitate the process, please state the following when contacting us: Name, Email address, Address, Date of birth, Mobile number, and Date when the account was created. If you provide these details, we will be able to help you faster. The beautiful game, soccer, to those of us on the other side of the Atlantic, and the leading soccer championship is upon us once again. 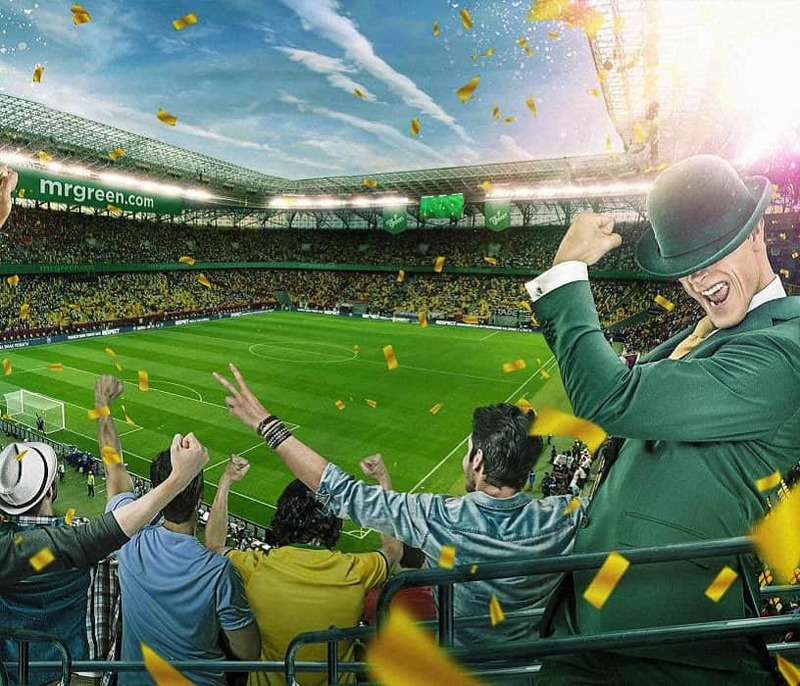 The 2018 football World Championship is in Russia and will feature the world's leading nations and the number one place for betting odds is at Mr Green Online Casino. You’ll find a wide variety of selections: over/under, Asian handicaps, half times and so many more. Listed below, you’ll find wc soccer schedules with information about the group stages, participating countries and the key players and burgeoning stars. 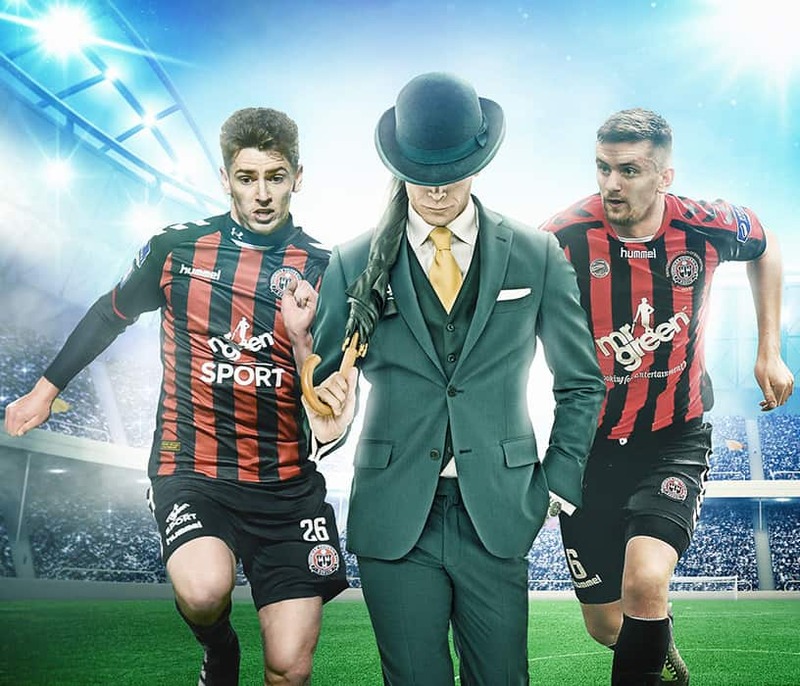 Mr Green doesn’t only offer the best selections of betting markets, but it also features key content focused on strategy and information to help you make better bets and win more money. You’ll find information on the Kelly Criterion, Fibonacci Betting, and Bankroll Management. There’s also up to date statistics and win information, including head-to-head records, with a number of key stats to help make you a winner. With all this help, you’d be remiss not to try Mr Green’s live betting! The ultimate adrenaline rush, you’ll be able to make in-game bets at the same breakneck speed pace of the game itself. It doesn’t get better than this. Which country is the host of the World Championship 2018? The WC 2018 is hosted by Russia. There will be 64 games played in 12 different stadiums in 11 different cities. In what cities are matches played? There will be 11 host cities. In alphabetical order: Kaliningrad, Kazan, Mordovia, Moscow (x2) Nizhny Novgorod, Rostov, Samara, Saint Petersburg, Sochi, and Yekaterinburg. What countries have won the previous tournaments? How many teams participate in WC 2018? 32 countries, each fielding their own teams, battle it out in an elimination style tournament that first begins with a group stage. Teams will be divided into eight wc groups (A-H) with four teams in each group. These groups were picked at random in a lottery style event before the tournament. The two teams that finish at the top of the group will go on the Round of 16 where knockout play begins. Teams will move through the quarter, semi, and the eventual finals before deciding a winner. When does the tournament start and end in 2018? The tournament starts on June 14, 2018 and ends on July 15, 2018. The WC 2018 final will take place in Moscow at the Luzhniki stadium on July 15, 2018. The tournament will feature 64 games that will be played out across 11 cities in 12 different stadiums. Each with its own history and challenges. Listed below, you’ll find a detailed breakdown of each venue and the matches taking place. Predicting a winner is always difficult because there are so many variables that play into the equation. The form of individual players is important, but the coach leading the team is also a major factor, as is the group the team starts in, and so forth. That said, some teams tend to do consistently well in big tournaments, and a team’s performance during the qualifications is a good indicator of future success. So, here are our top 7 picks of strong contenders for the title. In the lead up to the WC 2018 in Russia, few teams are better positioned than Argentina to have a major showing and once again claim the top spot in global football. Runner-ups in the 2014 edition, Argentina will need the firepower of Lionel Messi and Sergio Aguero to carry the team through the group stage and use their momentum to push on into the knockout phase. While La Albiceleste success is dependent on Messi, crucial interventions from the likes of Gonzalo Higuaín and Nicolas Otamendi will also be a key factor in their success within the tournament. The Belgians will feel hard done if they don’t have a great showing in this year's tournament. Boasting one of the most talented squads in Europe, the triumvirate of Romelu Lukaku, Kevin De Bruyne and Eden Hazard will terrorize opposing defences and should lead the goal charts. The key return of Toby Alderweireld from injury and the return to form of goalkeeper Thibaut Courtois, the Red Devils should be secure enough at the back even with the absence of Captain Vincent Kompany. Whether or not coach Roberto Martinez will drop the ball again is anyone's guess. Brazil had the easiest route to Russia, flying through their wc qualifiers and scoring goals for fun, it’ll be interesting to see how the team reacts to the pressure of knockout soccer. The shining star of the tournament, Neymar, is currently battling his way back from injury and hasn’t played a minute of competitive soccer since late February. If can’t return to form in time, coach Tite will have to lean on the likes of Gabriel Jesus, Roberto Firmino, and the imposing Hulk for goals and creativity. If the goals are there, Brazil shouldn’t have an issue making a deep run into the later rounds. After a lacklustre showing in 2014, Les Bleus are poised to breakout after a stellar campaign at the 2016 European Championships. Reaching the finals of the tournament, the French were knocked out by a miracle goal by Portugal Eder. Nevertheless, the likes of Paul Pogba, Antoine Griezmann, and N'golo Kante annoched themselves on the world stage and marked France as a team to beat in future tournaments. It’s unlikely that Real Madrid striker Karim Benzema will feature in the tournament, but the French should have enough firepower to get by in the championship. The masterful Germans return after a marvelous showing at the 2014 World Championship and were unbeaten in 2017 during both the qualifiers and friendlies. Winning the 2017 Confederations Cup in Russia in 2017, the Germans fielded a mostly “B” team and were still the dominant force we’ve come to expect. The stars will be on display with the return of Jerome Boateng, Thomas Muller, and the mercurial Mesut Ozil. The Germans are set up to be the favorites, however, a setback in the rehab of star goalkeeper Manuel Neuer could see Germany fall prey to a high-power offence in the knockout phase of the tournament. CONCACAF’s leading side, Mexico will go into the tournament with a team featuring a number of players who ply their trade in Europe and should expect to do well with their above-average squad. After a disappointing showing in the 2017 Confederations Cup, Mexico will recall their star players in the hopes of reasserting themselves on the world stage. Led by the likes of Javier Hernandez, Hector Moreno, and the promising Hirving Lozano, Mexico will play with blistering pace and a ferocious press that’ll weaken the resolve of their opponents. Winners of the 2016 European Championships, Portugal will look to rebound after a poor qualifying campaign that forced the team to earn their World Championship spot through the playoff rounds. Once again, Cristiano Ronaldo will take center stage, the focus of the world’s attention and opposing defences. He’ll need to depend on his supporting cast heavily with defender Pepe leading the back and Joao Moutinho controlling the midfield. Rising star Andre Silva could have a breakout tournament and will be one to watch as the team progresses. The Group of Death is a moniker given to the most competitive group that usually comprises of four high caliber nations pooled together with no inkling of which team will come out on top. A favorite of both fans and casuals, the matches tend to draw in the largest viewers and are fodder for media attention. This year’s tournament doesn’t feature a standout group. However, Group D looks to feature the most punishing path out of the group stage with heavyweights Argentina mixed in with Croatia, Nigeria, and Iceland. The Nigerians are severely undervalued and surprisingly off the radar of pundits and journalist. If they’re able to make it out of their group, the Super Eagles could very well find themselves on their way to the final in Moscow. CB Prat Joventut @ Real Canoe N.C.
C.T. Pan - Choi, K.J.